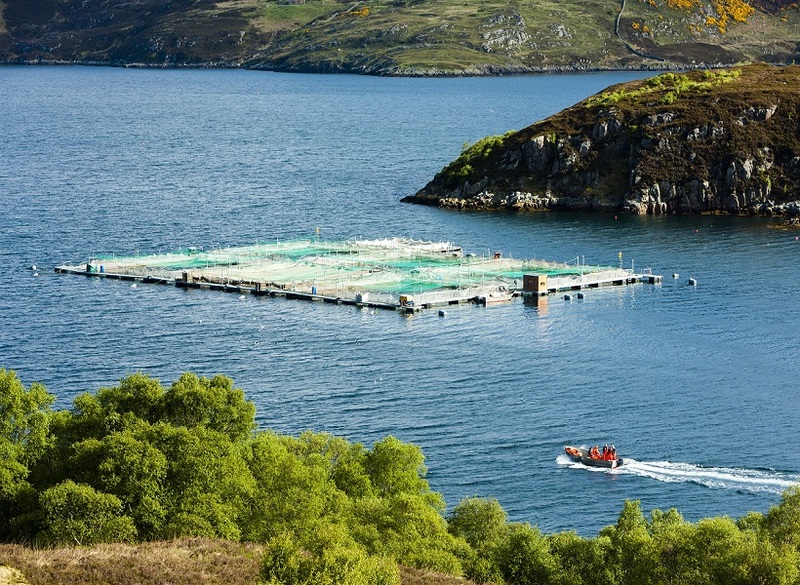 Scotland’s animal campaigns charity has released a new report highlighting the serious welfare issues on Scotland’s salmon farms. Fish welfare on Scotland’s salmon farms exposes a number of welfare breaches including mass mortality, sea lice infestations, disease and escapes. Scotland is the largest producer of farmed Atlantic salmon in the EU, and the third largest globally, after Norway and Chile. There are just over 250 Atlantic salmon farms in Scotland which produced 35 million salmon in 2016. The report shows that mass mortality rates are extremely high with 10 million salmon dying on seawater sites in 2016. This is estimated to have increased to 11 million in 2017. Escapes are also common with 300,000 fish escaping from salmon farms in 2017; these fish are not adapted to living in the wild and will suffer. The report also reveals that sea lice infestations and disease are rife on salmon farms. For example, over 100,000 salmon died of Amoebic Gill Disease over a period of 10 weeks in 2016, 68,265 died from Cardiomyopathy syndrome (which affects the heart muscle of fish) in 2016, and an estimated 27,000 salmon died from infectious salmon anaemia on one site in 2018. Sea lice infestations continue to be a major problem, for example, over 70 farms breached government trigger levels of an average 3 adult female lice per salmon. Treatments for sea lice and diseases have been shown to do further damage exposing salmon to harsh chemicals or mechanical treatments that can cause stress, physical injury and death. Salmon farms also use cleaner fish as an alternative “treatment” to pick off and eat the sea lice, however these fish suffer the same welfare issues as farmed fish and have a high mortality rate. “In the excitement generated by the promise of growth in the salmon farming industry, the lives of the fish and other animals affected by the farms are too often forgotten. Salmon farming also impacts the welfare of other animals as seals are shot, cetaceans are displaced by devices intended to deter seals, crustaceans are damaged by chemicals, and the industry has also been linked to a decline in wild salmon and trout numbers. “The aquaculture industry backed by the Scottish Government plans to double the value of the salmon industry to the Scottish economy by 2030. However, we’re calling for a moratorium on further growth until it can be shown that farmed salmon have good lives that are worth living. The Government, industry and NGOs should be focused exclusively on working together to solve these serious problems, not allowing the promise of economic gain to trump the lives of farmed animals”.